Warm up to Camp Bestival with our Outer Space themed indie dance special! 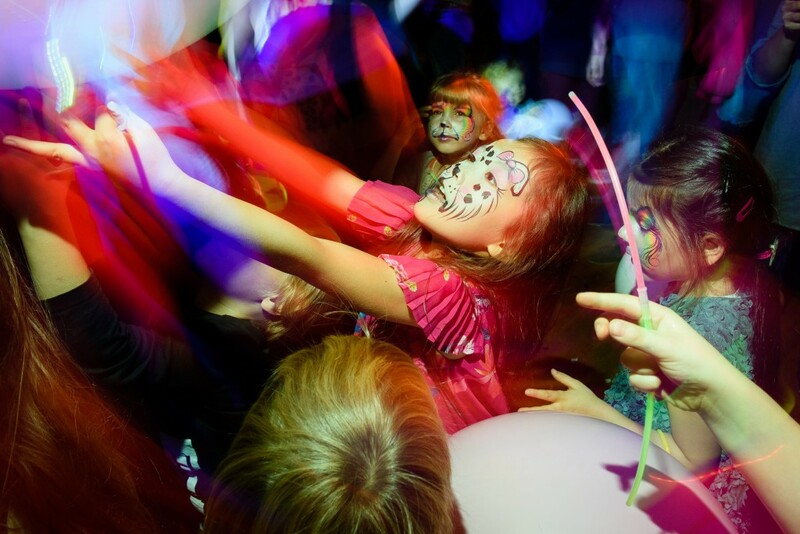 Christian Laing (Buttoned Down Disco) plus Camp Bestival DJs on the multi-sensory dancefloor complete with glitter cannons, bubbles and giant parachute dance help us blast off! NEW Sub Pac bass backpack demos “Feeling is believing!” and interactive dancer Frank Wilson. NEW Baby’s Taste Journey workshops – trying different flavours for weaning and food workshops for older children. FREE Copy of OKIDO science magazine. Happy Monkey craft room with giant mural, themed crafts and playdoh table. Play area with tents and tunnels and Villa Pia baby chillout area with mats and soft play ballpool. Licensed bar, free transfer tattoos and glowsticks. Lovely home made Bakerchef cake stall and savouries. Facepainting stall. Free Happy Monkey smoothie for every child to take home.